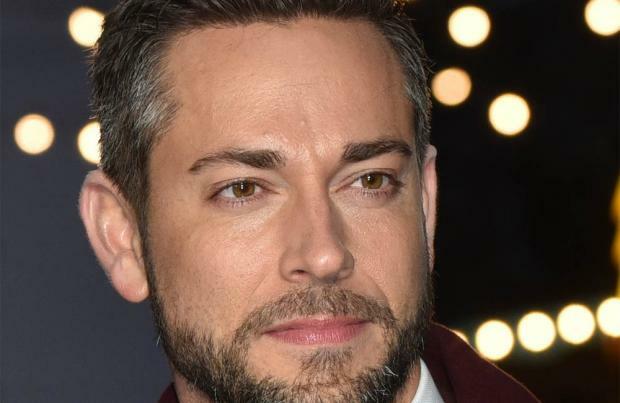 Zachary Levi believes David Sandberg brought a little "darkness" to 'Shazam'. The Swedish filmmaker is best known for his work in horror and the actor thinks his director's background stopped the saga – about an orphan boy and his superpowered adult alter ego – from getting "silly" as he was able to keep the story "grounded". Zachary said: "I think what he brings is the same types of tools and skillsets that help him to make a great horror film, which is a good command of the camera and storytelling and he's painting really beautiful frames. "And also making sure there's a gravity to the film which is very much needed to balance out the levity. "Inherently, it's a movie about a 14 year old that gets a superpower to be a superhero but he's still 14 inside. "I mean, there's no way to do that movie without it being funny and heartfelt. "And so in order for that to not just become silly, you need somebody like David to come in and ground it and give it some darkness and some grit and balance it out and I think he's done that in spades, so we find a really nice sweet spot in the middle of it all." And co-star Mark Strong also felt the director's horror background was invaluable. He told SciFiNow: "He realises that the combination of humour and horror gives you the two sides of the coin that you need to make a successful film. "You need to have real fun with 'Shazam' and the guys but you need to be truly terrified by the forces of evil, otherwise you never really believe that there's a genuine competition going on there. "I could always sense he had in his mind exactly what he wanted and little tiny details of things he would be hot on. "I remember one day I found him pushing a door to see if it would creak and I realised he was just finding a moment to put in a little creaking door noise in there, it's the archetypal horror moment. "So I think he'll bring all that discipline that you need in horror, the smoke and mirrors that you need to terrify people, you need the same kind of vibe in a superhero movie to get them to come with you on the journey."